Lecture with Professor Martha S. Jones, Society of Black Alumni Presidential Professor and Professor of History at The Johns Hopkins University. Birthright Citizens tells how African American activists radically transformed the terms of citizenship for all Americans. Before the Civil War, colonization schemes and black laws threatened to deport former slaves born in the United States. Birthright Citizens recovers the story of how African American activists remade national belonging through battles in legislatures, conventions, and courthouses. They faced formidable opposition, most notoriously from the US Supreme Court decision in Dred Scott. Still, Martha S. Jones explains, no single case defined their status. Former slaves studied law, secured allies, and conducted themselves like citizens, establishing their status through local, everyday claims. All along they argued that birth guaranteed their rights. 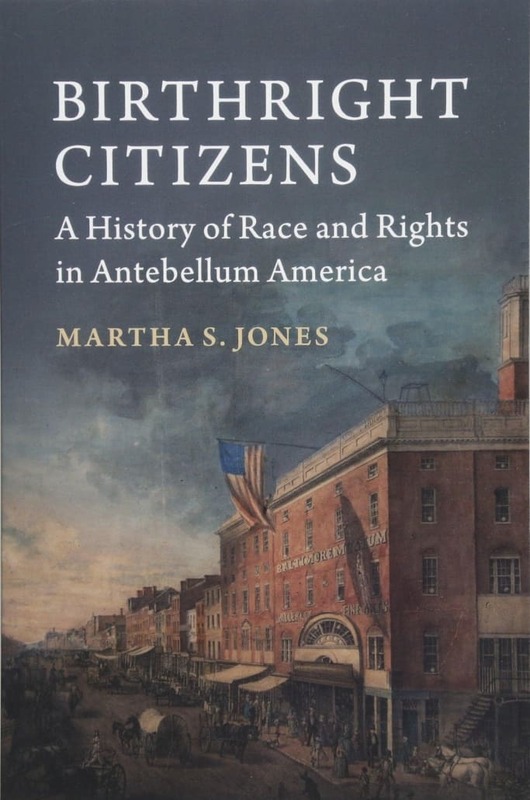 With fresh archival sources and an ambitious reframing of constitutional law-making before the Civil War, Jones shows how when the Fourteenth Amendment constitutionalized the birthright principle, the aspirations of black Americans’ aspirations were realized. Professor Jones is a legal and cultural historian whose work examines how black Americans have shaped the story of American democracy. She is the author of All Bound Up Together: The Woman Question in African American Public Culture 1830-1900 (University of North Carolina Press, 2007) and Birthright Citizens: A History of Race and Rights in Antebellum America (Cambridge University Press in 2018) and a coeditor of Toward an Intellectual History of Black Women (University of North Carolina Press, 2015). The Program in African American History brings together scholars and interested members of the public to explore and discuss every aspect of the experience of people of African descent in the Americas from the beginnings of European colonization through 1900. For more than forty years, the African Americana collections of the Library Company have helped nurture and sustain rich scholarship that has added dramatically to our knowledge and understanding of that experience—and public exhibitions, lectures, and programs have sought to involve the broadest possible audience.